A new study reveals that having “experiences” is more important than having “stuff” to 74 percent of Americans. That statistic includes Baby Boomers and Millennials. Capture the excitement of Race Day to create a memorable family, friends, or company outing experience at Arlington Park in Arlington Heights, IL. Arlington Park was named a top pick for the best place to have a picnic or reunion. 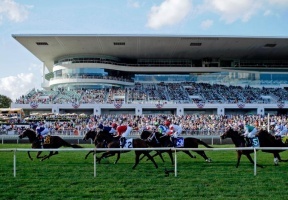 “We brainstorm new and fresh ideas to keep customers and clients coming back for another race ‘round the track,” says Arlington Park GM Tony Petrillo. “The Million Room Mixers are a great example of how we are always trying new things and this Happy Hour format was very popular on the first one.” The next Happy Hour Mixer will take place on September 7th at 3p.m., to 7p.m. 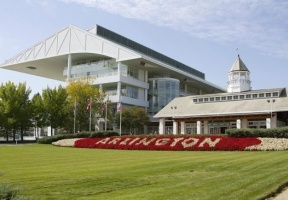 Arlington Park is located at 2200 W. Euclid Ave., Arlington Heights, IL. For more information, visit www.arlingtonpark.com.